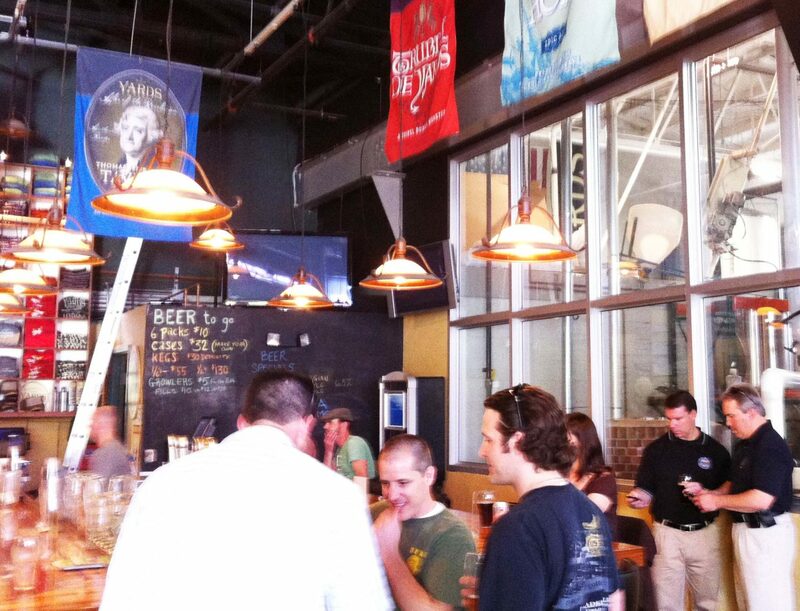 If you haven’t visited the Yard’s Brewery in their Penn’s Landing location on Delaware Ave, you are missing the opportunity to see the city’s first original Philadelphia brewery in modern times (first after Prohibition – but truth be told, they did relocate within Philly a number of times since Tom Kehoe started it off in Roxborough in ’94) . It’s beautiful facility with a huge tasting room – and floor to ceiling views of the working brewery areas. Bask in the shining stainless while you quaff some “brewery only specials” along with their classic lineup of ales. (yes, they have casks!). They moved in to their new digs four years ago, and it’s a must see destination for beer appreciators. Lots of Yards swag of course. I have known Tom and Franklin – their QC brewer – for many years – and they not only really care about their beer, but they care about Philadelphia. They are involved in charities and hosting events throughout the city. 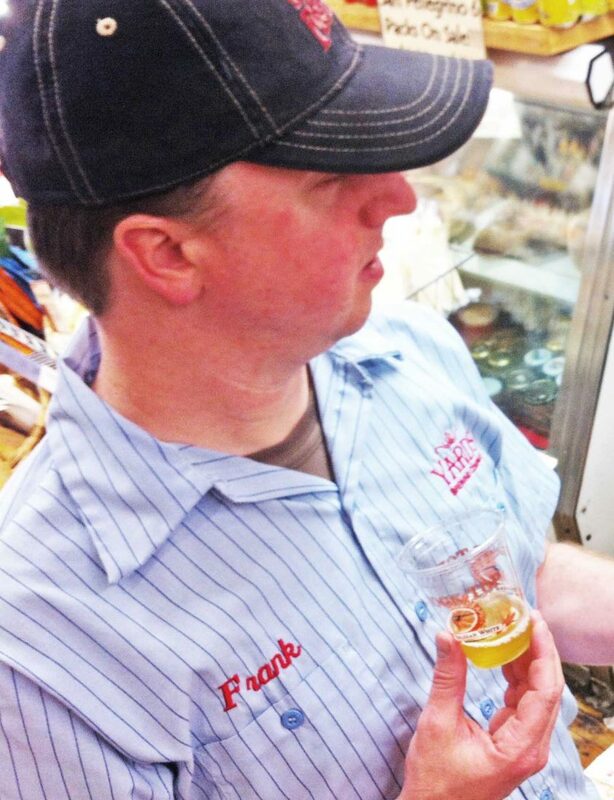 Tom helps coordinate Philly Beer Week (naturally) and they are everywhere that week of course. It’s a few minutes north of “Dave and Busters” next to the Sugar House Casino – a few minutes from Northern Liberties, home of the Standard Tap, the Foodery bottle shop and all those great pubs. A great local beer appreciation road trip. Haven’t been there yet? Get with it — It’s what Philly Drinks!